Baking with Melissa™: A Blog Recipe...that I really enjoy! A Blog Recipe...that I really enjoy! 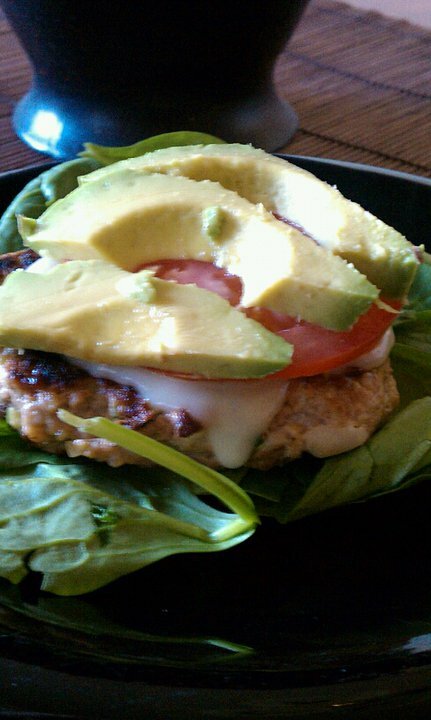 I am not a HUGE meat eater these days, but I recently stumbled upon this "Skinny Taste" blog full of healthier versions of beloved recipes and found these AMAZING Zucchini Turkey Burgers! They are so good that I have made them twice now and wanted to share the recipe and site with you! The first time I made them I placed the burgers on a bed of spinach, melted low fat mozzarella on top, then served with tomato and avocado (no bun). The second time I made them I mixed the meat with a chipolte barbecue sauce that I bought from a man at the local farmers market in Montrose. I added a special treat on top of the burgers by grating up a sweet potato and frying it up in a small amount of oil. It was WONDERFUL!!! Again, served on a bed of spinach with veggies and a sweet potato mountain on top!